Machinery, foodstuff, electronics, beverages, tobacco. Machinery, manufactures items, foodstuff, fuels. 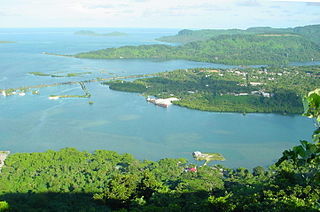 Of the islands' total land area, about 39% is devoted to crops. The principal agricultural product of St. Kitts is sugarcane; peanuts are now the second crop. On Nevis, sea island cotton and coconuts are the major commodities. Sweet potatoes, onions, tomatoes, cabbages, carrots, and breadfruit are grown for local consumption on both islands, mostly by individual smallholders. In 2001, agricultural products accounted for about 18.5% of total imports by value and 11.2% of exports; the government has embarked on a program to substitute for food imports. Sugar estate lands were nationalized in 1975, and the sugar factory was purchased by the government the following year. The output of raw sugar slumped between 1986 and 1989, and as a result the government entered into a management agreement with Booke and Tate of Great Britain in August 1991; a World Bank loan of US$1.9 million was utilized to provide financial stability. Sugar production in 1999 was estimated at 197,000 tons. Faced with a sugar industry that was finding it increasingly difficult to earn a profit, the Government of St. Kitts and Nevis embarked on a program to diversify the agricultural sector and stimulate the development of other sectors of the economy, particularly tourism. In July 2005, sugar production ceased. Pasture areas are small, covering some 2.7% of the islands. Pangola and Bermuda grasses provide the bulk of the fodder. Estimates of livestock in 2001 were sheep, 14,000; goats, 14,400; cattle, 4,300 head; and pigs, 4,000. Fishing is a traditional occupation that has not expanded to any great extent; the catch in 2000 was 257 tons (down from 620 tons in 1990). Some exports (primarily lobsters) are made to the Netherlands Antilles and Puerto Rico; fisheries exports totaled US$245,000 in 2000. Fish is caught by traditional methods such as beach-seining, pot and trap fishing & hand-lining. The catch is not enough to satisfy local demand for fish. Large quantities of dried, salted and smoked fish, as well as frozen are imported from Canada and USA. Both islands have small stands of virgin tropical forest, with palms, poincianas, and palmettos. About 11% of the land area consists of forests. Imports of forest products nearly reached US$1.8 million in 2000. The mining sector played a minor role in St. Kitts and Nevis. No commercially valuable mineral deposits have been found on Saint Kitts. Hence mining and quarrying activities are limited to earthen materials. Presently, there is only one quarry on St. Kitts and there are quarries on Nevis. Raking of salt, the country's fourth-leading industry, was done from time to time. Local quarrying of some materials was used to supplement the construction industry. In 2000, output for sand and gravel was 214,700 tons, up from 50,389 in 1996; crushed stone output was 121,226 tons. Industry accounted for 26% of GDP in 2001. The principal manufacturing plant and largest industrial employer is the St. Kitts Sugar Manufacturing Corp., a government enterprise; it grinds and processes sugarcane for export. A brewery on St. Kitts makes beer for local consumption, and cotton is ginned and baled on Nevis. Electronic plants produce switches, calculators, car radios, and pocket radios. Other industries are clothing and shoe manufacturing. These provide a much-needed alternative to agricultural employment, particularly for women. The manufacturing suffered a decline in 1998 due to Hurricane Georges. As a result of diversification and expansion, St. Kitts and Nevis has transformed small electronics plants into the largest electronics assembly industry in the Eastern Caribbean. Its apparel assembly industry has also become very successful in recent years. Garment manufacturing has expanded since the mid-1990s and now accounts for a large share of export earnings. Upgrading the Port Zante harbor complex in Basseterre enables large container ships to call, further enhancing St. Kitts' attractiveness as an offshore manufacturing base. Manufactured exports were valued at US$20 million in 1998 and 1999, suggesting that this sector was the least affected by hurricane damage. There were four major industrial sites in St. Kitts and Nevis in 2000: C. A. Paul Southwell Industrial Park, Bourkes Industrial Estate, Canada Industrial Estate, and Prospect Industrial Estate. Port Zante is the main seaport. This sector was badly hit by the effects of the hurricanes in 1998 and 1999. The country had just started to rebuild after Georges in 1998 when Lenny created substantial damage in 1999. The Port Zante complex, where the pier and terminal buildings are located, suffered serious damage. In Nevis, the only large hotel was forced to close for 6 months, resulting in lay-offs of staff (although many were employed to re-landscape devastated gardens) and decreased government revenue. Overall visitor arrivals, both of those staying over and those on cruise ship calls, fell about 15 percent in 1999, with a resulting decrease in visitor expenditure from the 1998 figure of US$75.7 million. A unique point of interest is that the island of St. Kitts possesses the only remaining active railway in the West Indies. This was built to move sugar cane around, and part of the railway remains in use for tourist tours. Graphical depiction of St. Kitts and Nevis's product exports in 28 color-coded categories. "CIA World Factbook - St. Kitts and Nevis". Retrieved September 6, 2006. ^ "Ease of Doing Business in St Kitts and Nevis". Doingbusiness.org. Retrieved 2017-01-25. ^ "Export Partners of Saint Kitts and Nevis". CIA World Factbook. 2012. Retrieved 2013-07-24. ^ "Import Partners of Saint Kitts and Nevis". CIA World Factbook. 2012. Retrieved 2013-07-24.